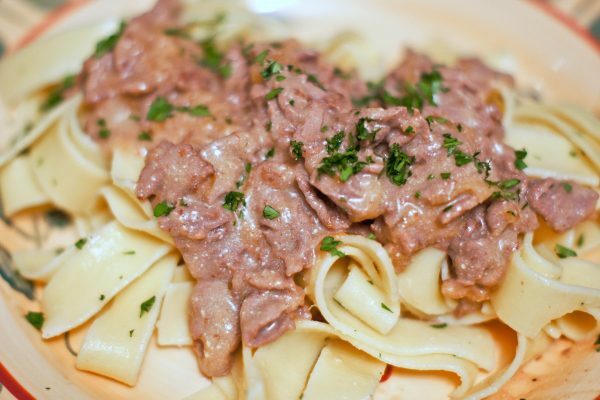 One of my very favorite winter dishes is beef Stroganoff. Many American versions of Stroganoff incorporate mushrooms, but this is a simpler, more traditional preparation. It’s truly delicious and very easy to prepare. Don’t skimp on the meat! 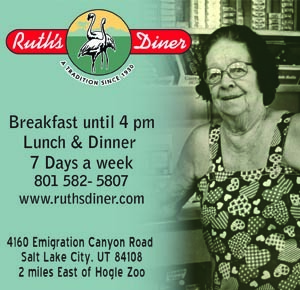 Use the best quality beef you can find. 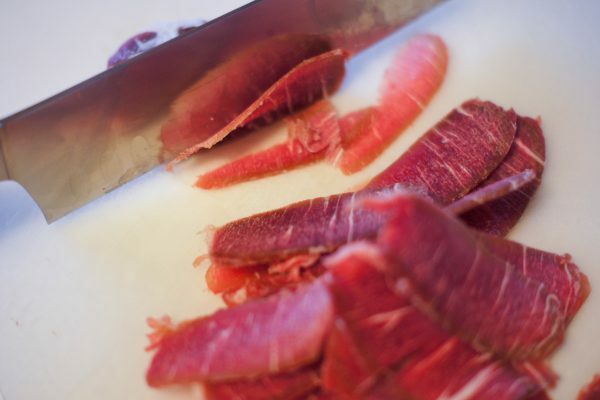 Note: To slice the beef ultra-thin, you could have a butcher shave it into thin slices for you. Or, if you’re preparing the beef at home, it helps to place the meat in the freezer for an hour or so before slicing. Partially freezing the meat makes it easier to slice thinly. First, prepare the Stroganoff sauce. This can be done in advance of cooking the meat. Melt 2 Tbs. of the butter in a small saucepan over medium heat. 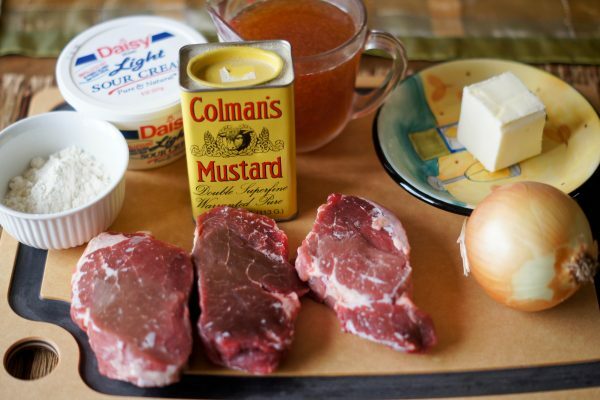 Add the flour and dry mustard and stir with a wooden spoon, making a roux, for about 2-3 minutes. 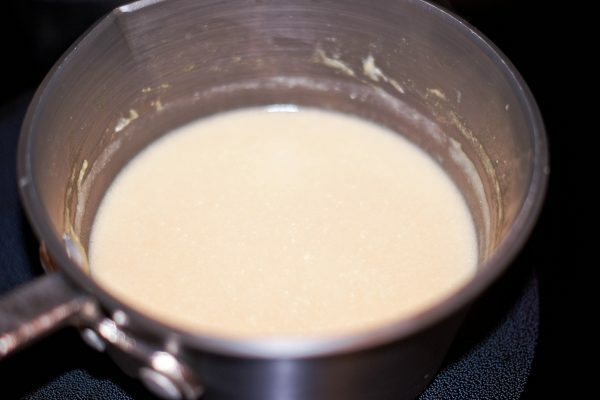 Gradually add the bouillon, whisking to incorporate it into the roux, until thick, about 2 minutes. Stir in the sour cream and whisk until smooth. Remove from the heat and set aside. To prepare the beef, melt the remaining 2 Tbs. of butter in a large skillet or sauté pan over medium heat. 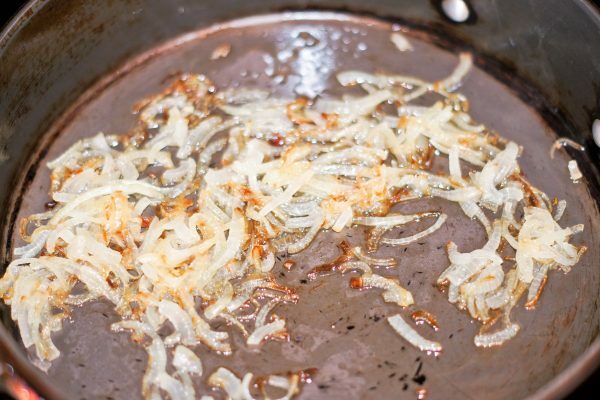 Add the sliced onions and cook until soft and lightly browned, about 5 minutes. Increase the heat to high and add the beef. 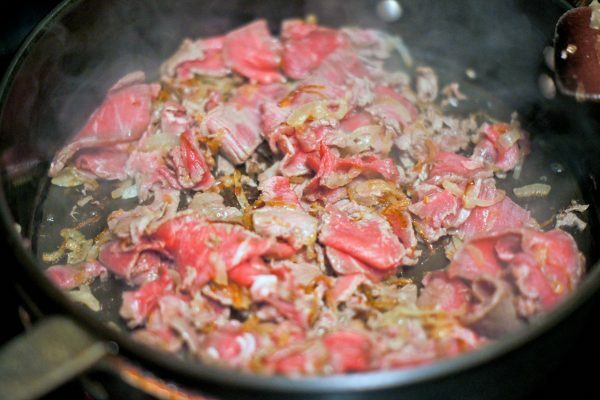 Sauté the meat rapidly, stirring, until just cooked through—about 2 minutes. Reduce heat to low, add the reserved sour cream sauce, stir and season to taste with salt and black pepper. 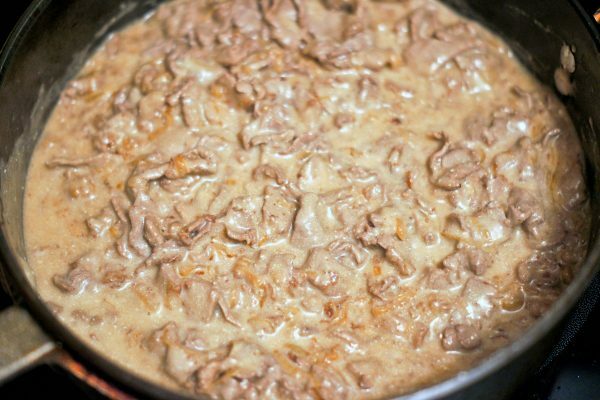 Serve the Stroganoff with potatoes or atop a bed of cooked noodles or rice. Garnish with the (optional) chopped parsley. 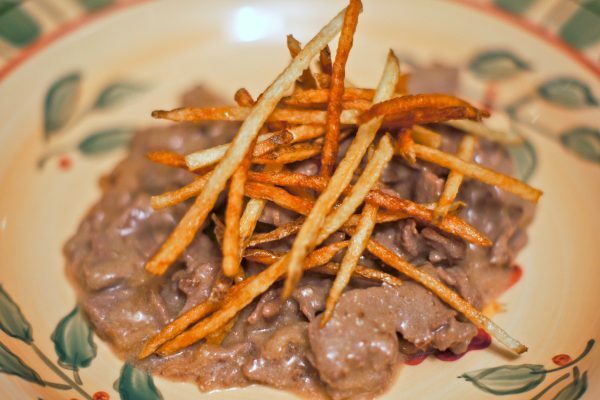 Note: Another attractive presentation is to simply put the Stroganoff directly onto a plate and top with matchstick French fries.